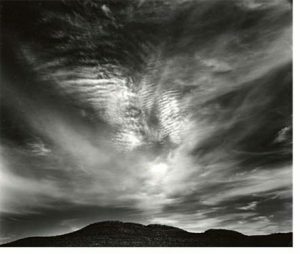 In art, “atmospheric perspective” is a technique for creating the illusion of deep space by blurring the horizon and de-saturating and lightening its color. 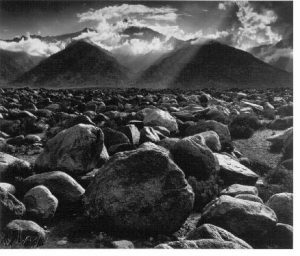 But beyond the illusion of depth, there are also metaphoric aspects of atmospheric perspective, ranging from our appreciation of the beauty of the the natural world to our experience of air quality in urban or rural parts of the world. 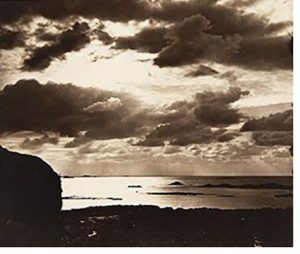 The photographs in the Atmospheric Perspectives section of the exhibition feature aspects of the troposphere, the layer of atmosphere directly above the surface of the earth. This is the layer where weather occurs. 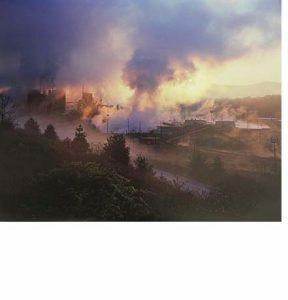 It is also the layer subject to anthropogenic interference in the form of human-made air pollution. 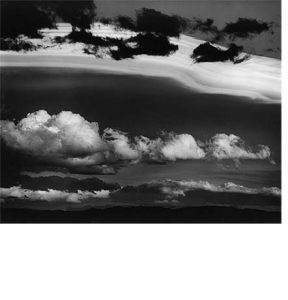 The primary focus of the photographs in this section is clouds. 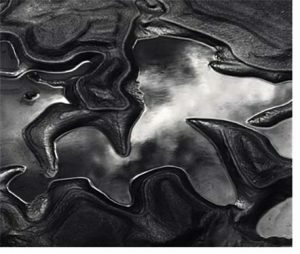 For photographers Ansel Adams and Brett Weston, clouds are dynamic elements in the landscape, abstract shapes in the sky, and symbols of the capacity of nature to lift our spirits. 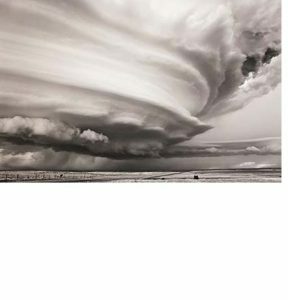 Contemporary photographer Mitch Dobrowner shows another side of the nature of clouds—the sublime power of storm clouds to fill us with fear and awe. 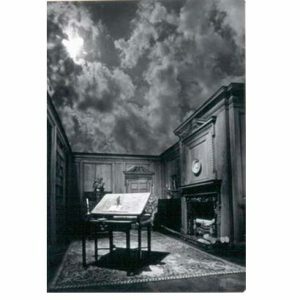 Human-made clouds are evident in the industrial pollution seen in Jeff Rich’s photograph of the Blue Ridge Paper Mill, while imaginary clouds form the ceiling of a room in Jerry Uelsmann’s photographic fantasy.